What is the sacred name movement? Is it Biblical? God has many names…some are even attributes of God, but God’s name is holy and is to be regarded as holy, but today, people use God’s name as a swear or curse word and blaspheme the holy name of God, but also Jesus’ name. Blasphemy basically means to take the Lord God’s name in vain and then use it in a worthless manner, even using it in offensive language, but the Bible says that God will not let anyone get away with using His name in this way (Deut 5:11). What about euphemisms like “Gosh darn it,” “Jeeze,” or “Oh my God?” Anytime God’s name is used in an irreverent way, including Jesus’ name, it is considered blaspheme because Jesus Christ is also God. To use God’s holy name in a worthless manner or during a time of anger, is sin. God reveals Himself as Elohim, which is plural and speaks of all three Persons of the Trinity. God is also known as YHWH, which is a Tetragrammaton and contains no vowels, but YHWH refers to His name, “I AM” or the “Self-Existent One,” but God’s name should be held in great reverence and spoken with great respect. Sadly, even some Christians use slangs like “Oh my God”…Christian and non-Christian alike. This should never be so. One of, if not the greatest attributes of God, is that He is holy. In fact, Isaiah so reverenced the name of God that he fell on his face when exposed to the glory of God in heaven. There, Isaiah heard the holy angels proclaim, 24/7, “Holy, holy, holy is the Lord of hosts; the whole earth is full of his glory” (Isaiah 6:3)! To repeat something three times in Jewish literature is to have the greatest emphasis that is possible. They cannot emphasize something any greater than repeating it three times, so God is not only holy, He is holy, holy, holy, to the nth degree. The Apostle Peter told the church, “You shall be holy, for I am holy” (1 Pet 1:16). This is not new. The emphasis is that God is holy, and His will for us to be holy too. This is repeated dozens of times in the Old Testament (Lev 11:44-45, 19:2, 20:7; Isaiah 35:8, etc.). Since God and His name are to be regarded holy, then what’s wrong with a group called The Sacred name Movement? Isn’t this what God would want? Wouldn’t He want us to regard His name as holy or sacred? Yes, but the Sacred Name Movement is not what you think it is. The word “sacred” means something that is dedicated or set apart for the service or worship of God, and is considered worthy of spiritual respect or devotion, like God’s name is. It may even be something inspiring awe or reverence among believers, but the Sacred Name Movement seeks to do more than that. The Sacred Name Movement originated within the Church of God (Seventh-Day), being propagated by Clarence Orvil Dodd in the 1930s. This movement claims that it seeks to conform Christianity to its “Hebrew Roots” in practice, belief and worship, but is that what God is seeking? Doesn’t God rather seek a personal relationship with us and not more religion? Jesus rebuked the religious leaders because they trusted in their own righteousness (Luke 18:9), because works or righteous acts cannot save anyone (Eph 2:8-9). The Sacred Name Movement will not use any other name for God but YHWH and for Jesus, they will not use any name but “Yahshua.” All other names are considered blaspheme, but we have read what blaspheme is and what blaspheme isn’t, and using Jesus’ name or the name “God” is not blaspheme. That is not taught in the Bible but taught but this cultic group. The truth is, “Yahshua” is not precisely Jesus’ name. Jesus’ name is the same as Joshua in the Old Testament, but to say Jesus’ name and even pray to Jesus is considered blaspheme by the Sacred Name Movement, therefore this group is not only unbiblical, but they are teaching salvation by works. Scripture uses Hebrew, Greek, and Aramaic spellings, descriptions, and words for each name of God, and it is not blaspheme to refer to God’s Son as Jesus, which is the English translation of the Hebrew name. Neither is it blasphemed if Spanish people to refer to Him as Jesus. It is also not wrong for the Chinese, Russians, or any other nations to speak of God’s Son by their own translation of His name into their language. Besides, those within the Sacred Name Movement can’t even agree on which of the sacred names should be used for God. They debate within their own circles that God’s name should only be, Yhowah, Yahweh, Yahshua, Yahvah, Yahwah, Yahowah, or other various spellings, so there is contention and disagreement within the Sacred Name Movement itself. People just seem to slip into cults, and they often do it for the wrong reasons, and the Sacred Name Movement is one of those, and should be avoided. A church or group of believers that teach that the Old Testament Laws must be continued through Jesus Christ have not read their Bible. They are deceived. To believe someone could blaspheme God by using a name other than YHWH is to ignore Scriptural teachings, and they have. I would not recommend joining such a group because they have not yet learned that “all who rely on works of the law are under a curse; for it is written, “Cursed be everyone who does not abide by all things written in the Book of the Law, and do them” (Gal 3:10). To seek righteousness by works is to trample on the grace of God. Jesus fulfilled the Law and all of its requirements in His life, so the Law of the Old Testament was not meant to save us, but to show us we can’t save ourselves by works or by keeping the Law. None can be saved by works. And no human alive could ever or has ever kept the law perfectly. Only Jesus Christ has kept the Law with perfection, and we know it is only by His righteousness that God accepts us (2 Cor 5:21). Thankfully, salvation is not gained by our law-keeping, and no one is saved or lost by pronouncing the “correct” name of God. That’s because “no one is justified before God by the law, for “The righteous shall live by faith” (Gal 3:11). Perhaps they should read again where the Apostle Paul said, ”Christ redeemed us from the curse of the law by becoming a curse for us—for it is written, “Cursed is everyone who is hanged on a tree” (Gal 3:13). Since Jesus’ has redeemed us from the curse of the law, why would we ever want to go back to it? In the Old Testament people gave God many names. Those names were given as a result of what God did at a particular time for them. 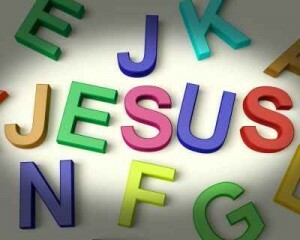 However, when Jesus came He revealed the rightful name of God. He called God Father! This is very interesting because the father signifies relationship. It shows that we are in a relationship with God and therefore should not work with Him conditionally. There is no condition(s) between God and believers, the believers only relate with Him through the indwelling Spirit. Previous post: What is Zionism or Christian Zionism? Next post: Is Apostolic Succession Biblical?